Hello fellow traders. Today, I want to share some Elliott Wave charts of Nasdaq Futures (NQ_F) which we presented to our members in the past. Below, you see the 1-hour updated chart presented to our clients on the 03/08/19. showing that the Index has a 1 Hour right side tag against 6960.56 low. In the 1H chart we suggest our members that it has ended black wave ((3)) at 7213.50 peak. 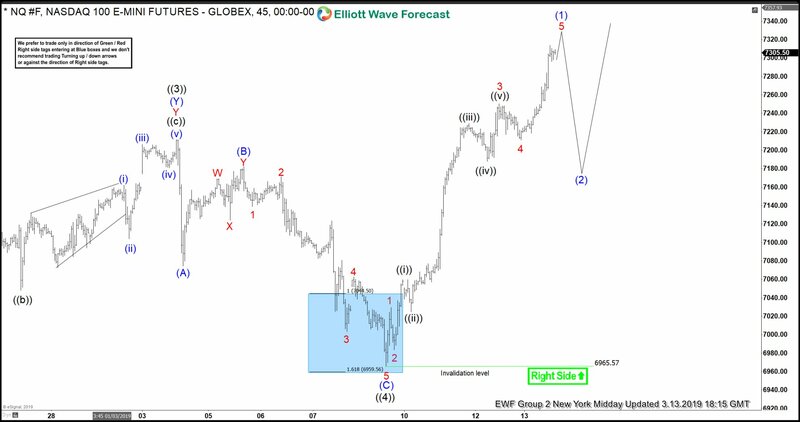 And below from there, we advised members that it should see the equal legs from that peak towards the areas of the 100 – 1.618 Fibonacci extension of blue wave (A)-(B) which came around 7045.00-6960.05 and unfolded as an Elliott Wave Zig Zag structure. Therefore, we expected buyers to appear in the sequences of 3, 7 or 11 swings. Due to the right side tag which you can see in the chart below, we recommended a long position at the blue box area. As that was the first area for buyers to appear to take prices to new high above black wave ((3)) peak. Or a larger 3 waves reaction at least. In the last Elliott Wave chart, you can see that Nasdaq reached the blue box area and extend an into the blue box buying area and was close to get stopped out. The stop should be ideally a few points below the 1.618. However, then it showed a nice reaction higher. Due to the right side tag. We advised members that it should ideally hold the low and extend higher. And if traded our blue box. Any trades from that area have been risk-free, which means the stop-loss was moved to break-even, and also hit higher targets. Overall a very profitable trade. Do please keep in mind that the 1-hour chart which I presented have changed already. The blue boxes you see in our charts are our so-called High-Frequency boxes. Where the market ideally shows us a reaction either lower or higher to allow us to move our stop loss quickly to break-even. 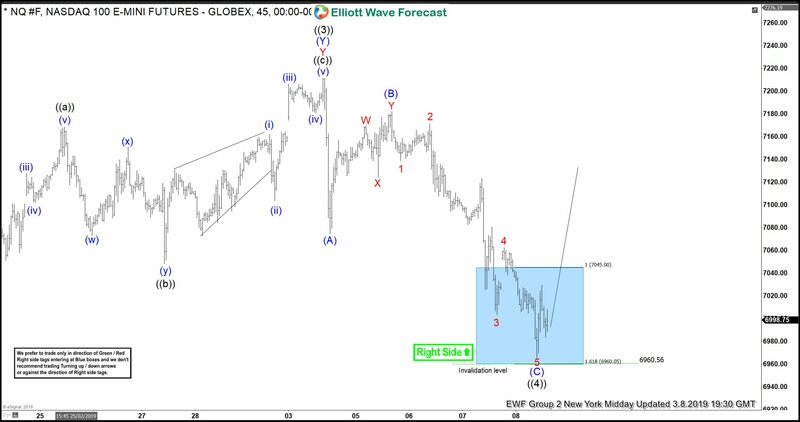 If you are interested in how to trade our blue box areas and want to understand how Elliott Wave works. 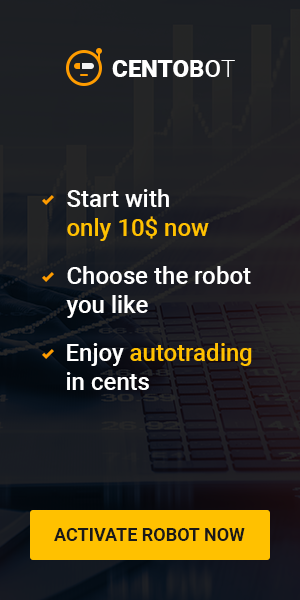 Then I recommend you to get a shot with our risk-free 14 days trial below. I hope you enjoyed this blog. I wish you all good trades.